Canadian Solar is a global leader in the solar industry and their PV solar panels have a reputation for reliability and value. Founded in 2001 in Canada, Canadian Solar (a Chinese-owned company) has state-of-the-art manufacturing plants in Canada, China and Vietnam, and employs over 12,000 people worldwide. The company is heavily invested in R&D and produced over 70 million solar panels over the last 17 years. 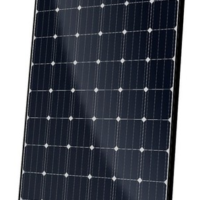 Canadian Solar panels carry the standard structural product warranty (ten years) but in addition, the warranty covers approximately 93% of power output after ten years and 83% at the end of the full 25-year warranty. Financially stable, the company appears to be in a good position to outlast the warranty. 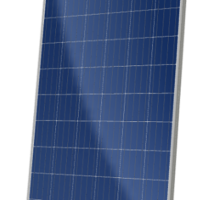 Canadian Solar panels include both 60- and 72-cell models, both monocrystalline and polycrystalline. 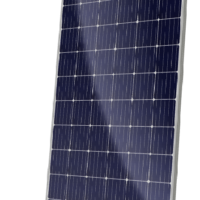 The 60 cell modules, such as the CS6K panels, are suitable for most roof top installations and the 72-cell, such as the CS6U panels, are suitable for both on-grid on off-grid applications. The 72-cell solar panels produce higher power and also require fewer connections. This makes for higher efficiency with fewer potential problems, which is why solar farms typically choose 72-cell panels. However, the 72-cell solar panels are about 12 inches longer than the 60-cell panels (the area required to add 12 cells) and this makes the 60-cell panels a popular choice for residential rooftops where space may be more limited. 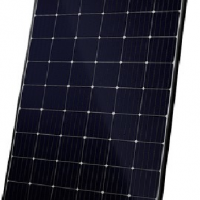 View cart “Canadian Solar CS6K-300MS Module (Black Frame)” has been added to your cart.